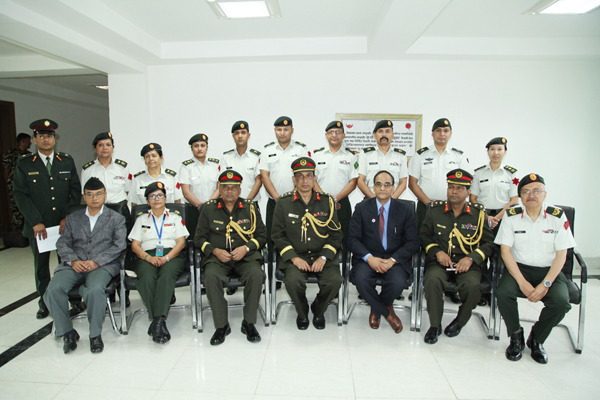 A team of senior officers from the Bangladesh Army Medical Corps led by Professor and Head of Department of Pharmacology, AFMC Brig Gen Mohammad Abdul Karim Khan ,Dhaka, Bangladesh, and other delegates visited Nepalese Army Institute of Health Sciences on 30 March 2015. The other team members consisted of Brig. 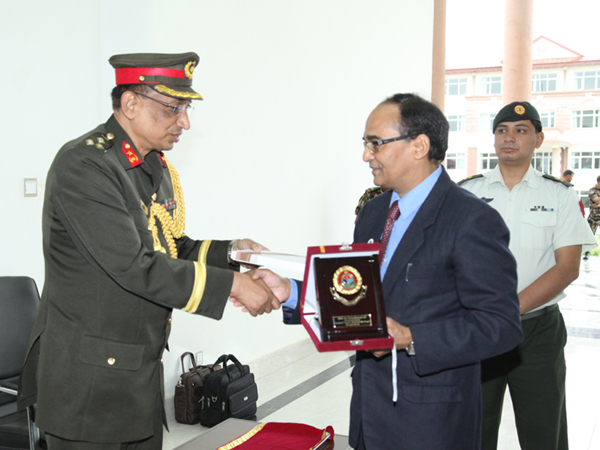 Gen. Mohammad Ali , (Prof., Department of Community Medicine), Brig. Gen. Khan Md. Asadull HelGalib (Acting Commandant). 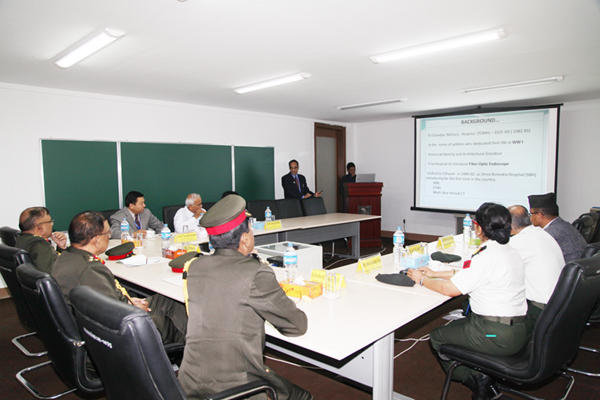 They were received by Deputy Executive Director of Nepalese Army Institute of Health Sciences (NAIHS) Brig Gen (Retd.) 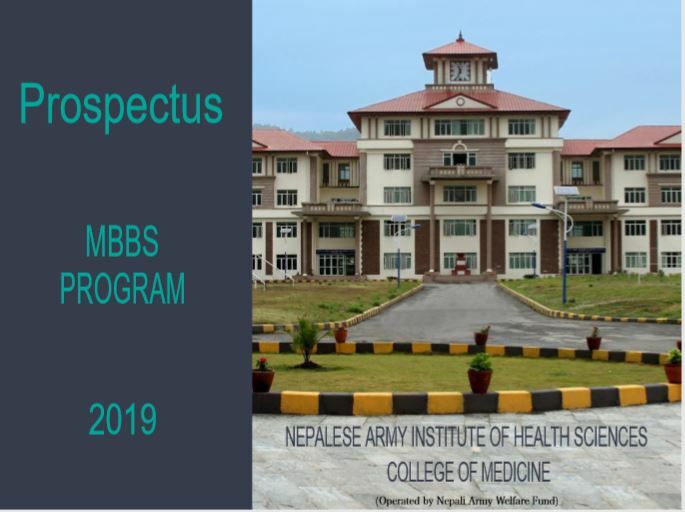 Prof. Dr. Bhairab Kumar Hamal, Brig Gen Prof. Dr. Narbada Thapa (Principal NAIHS-College of Nursing), Brig Gen Prof. Dr. Rajesh Panth (Principal NAIHS-College of Medicine) and other members of the administration of NAIHS. The team expressed their happiness on the visit. The team was also pleased with the progress in the infrastructure and the academic achievement of the institution in such a short span of time.